The problem with OpenPilot project is the really slow process between announced prototypes and released hardware. They have a really nice OSD board incoming, but there's still no released date anounced yet. And I need a good OSD now, so let's build a "temporary" solution. Thanks to them for that work. But I'll talk only about OpenPilot one for the moment. Things works the same for Multiwii project anyway. This is nothing more than an Atmega328P with arduino bootloader & a MAX7456 chip for overlaying text on a video stream. It doesn't has any current/voltage sensor embedded, and ADC pins are not mapped on the board. We will need to hack it a bit to suit our needs. There's many available ADC pins on the Atmega 328P. We just have to wire directly on the chip pins. 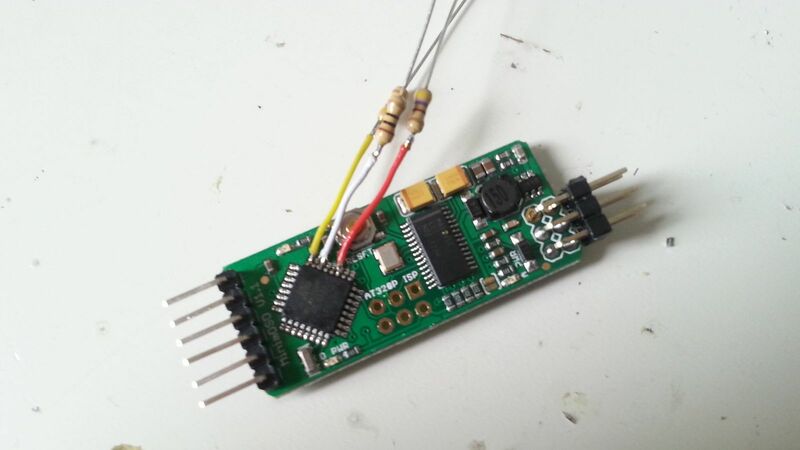 - ADC6 ( pin 19 ) for Voltage sensor. To make the thing easier, I choose to use the Attopilot 90A current/voltage sensor. Like the minimosd, you have the official choice from APM store, Sparkfun one, or some chinese clones ( from rctimer ). It outputs voltage & current to a 0-3.3V range. On MinOPosd wiki, they advice to use some voltage divider to reduce input range to 0-1.1v. Original code use 1.1v internal atmega voltage reference. Because I'm lazy, I've decided to use the default 5V voltage reference instead. 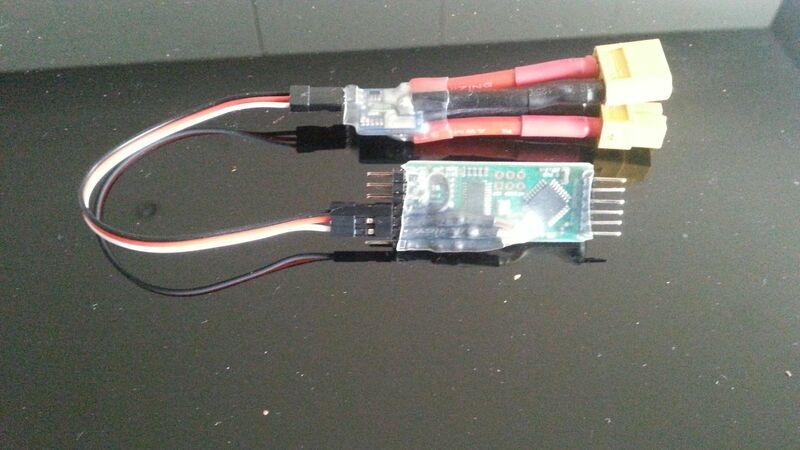 We will loose a bit of resolution ( 1024 steps on 0-5v range , so this give us 675 steps for our 3.3v output. ), but considering the usage, this will be far sufficient. Just be sure you have a stable 5V input. 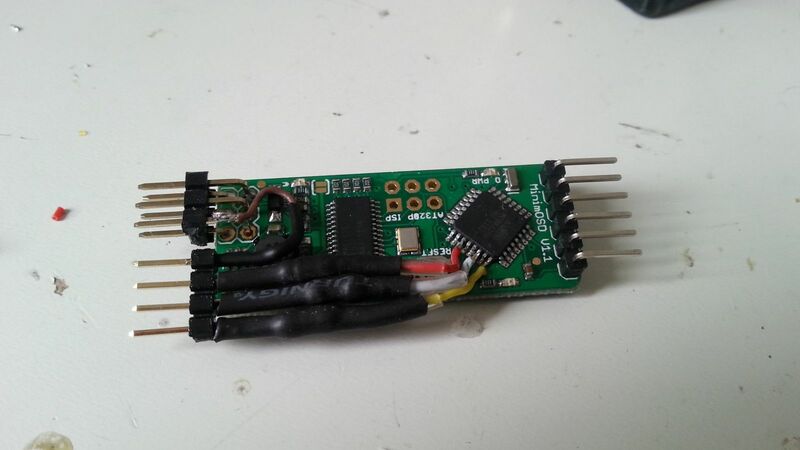 Solder 3 wire on the 3 adc pins you want to use. Don't drink too much coffee before, take a little soldering iron, breathe a bit, and let's go. You still should add a low impendance resistor to the current pin. Attopilot already has a capacitor on current output. Adding a resistor will act as an RC filter. I've added a 470 Ohm resistor to RSSI wire too to limit current. - 0-3.3v output range for 0-90A input. Now we need to change few stuff on minoposd code. After that we just have to compile, & load minimosd with Arduino software. Now you can follow the minoposd wiki to finish configuration from the software & osd menu. Hey, how are you able to edit the minoposd files? I only have them as a .hex file? Can you help me with my minoposd? I had dissolder diode, had solder power 5V bulbs on both sides of board, made divider for video power. If connect white cable to 22 pin of Mega, osd shown '-46A' of current. 1. Should I make divider for current sensor? 2. 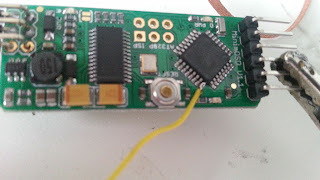 What of those firmware I should to upload into minimosd?